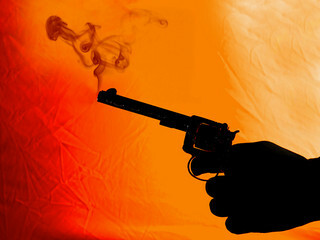 News & Events » Environmental Law Alert Blog » The Smoking Gun: Who was the real author of the 2012 omnibus bills? The Smoking Gun: Who was the real author of the 2012 omnibus bills? Kudos to Greenpeace Canada for finding something of a smoking gun exposing the role of the oil and gas industry in the gutting of Canada’s environmental laws. Greenpeace has released a letter from the Energy Framework Initiative (EFI), representing every major oil and gas industry association, asking that the government undertake a major overhaul of six critical environmental statutes that inconvenienced the industry. Five of the statutes have since been replaced or seen major amendments through the dismantling of our country’s environmental safety net s in omnibus bills C-38 and C-45, and further amendments are expected in the near future. [I]t may be useful to list, in one place, just how the oil and gas industry – which is getting a number of perks that are unique to the energy sector – is effectively subsidized by the changes to Canada’s environmental laws, and what the implications are for Canadians hoping for responsible regulation of the industry. The industry has been actively lobbying for many of these changes for years, and now they have what they have advocated for. Now we have another piece of the answer as to how the oil and gas industry came by such special treatment. Greenpeace has an excellent blog post describing the letter and what it tells us about how the Bill C-38 and Bill C-45 environmental changes may have been written. Simply put, [the Industry] believed that environmental laws were too focused on protecting the environment and they wanted this changed. The oil industry associations explicitly identified the Canadian Environmental Assessment Act, the Species at Risk Act, [the Fisheries Act], the National Energy Board Act, the Migratory Birds Convention Act and the Navigable Waters Protection Act as part of this “out-dated” approach (for more on their preferred approach, see this earlier blog). The federal government was quick to concur and respond. Interestingly, the response from the Energy Framework Initiative, when asked by the media about the letter, has been to emphasize that the letter is one piece of correspondence in a long history of lobbying by the industry. This has been a long process. That’s one letter, that represents one of many engagements with the federal government that we’ve had on this topic. And many other stakeholders have had similar engagements with the government. In December 2011, about a week after the EFI letter was sent, coincidentally we wrote a blog post on the many meetings between the oil and gas industry lobbyists and the federal government, and the failure of Canada’s English language-media to cover the huge and disproportionate access that the industry has with the government. Just last November a Polaris Institute report further documented this cozy relationship between the oil and gas industry and federal officials, with government officials meeting with that industry 463% more times than environmental organizations. The Canadian Environmental Assessment Act was replaced in Bill C-38 with CEAA 2012, which eliminates thousands of environmental assessments, reduces public involvement and is affecting how environmental assessment is done on the ground. If and when the federal Cabinet brings the ‘second stage’ of amendments to the Fisheries Act passed in Bill C-38 into force, protection for fish habitat will be greatly reduced. The Species At Risk Act was changed in Bill C-38 to weaken the permitting process that affects endangered or threatened species and Environment Minister Peter Kent has recently promised more significant amendments in the near future. The Navigable Waters Protection Act was re-written as the Navigation Protection Act in Bill C-45; instead of protecting all navigable rivers, lakes and oceans the new Act only protects a relatively small number that actually appear on a list. What used to function as not only navigation but also environmental protection for tens of thousands of streams and lakes has been eliminated in favour of protecting navigation only on only a handful of water bodies (by way of example – there is no longer federal protection under this Act for any streams or lakes on Vancouver Island). We have not received word of whether amendments to the Migratory Bird Convention Act are planned. As we’ve said before, passing laws to placate one industry is going to mean bad laws that don’t protect Canadians. In the short and long run chopping up Canada’s environmental safety net to placate industry harms our environment and the economy,and in the long run it undercuts the social licence of the industry. In the long run, everybody loses. Photo by jcoterhals used under Creative Commons Licence(CC BY-NC-ND 2.0).